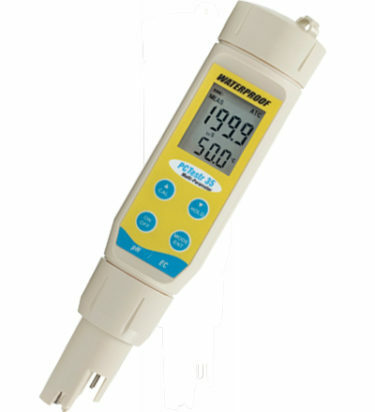 One cost-effective and convenient way to measure multiple parameters without the need to purchase many different meters is to make use of a multi-parameter meter. Most of these meters are able to measure 2 or more parameters. The models featured here measures pH, Conductivity, TDS, Salinity and Temperature. Low, medium and high Conductivity/ TDS ranges – tester measures pure water! Up to 5-point pH calibration and 3-point Conductivity/ TDS/ Salinity calibration. “One-press Parameter Toggle”: Switching parameters is just a press of a button. Educational:Useful in schools, many laboratory applications and ecology studies.